April | 2018 | Peroglyfer – Machine Learning changes math. Math changes everything. The Only Terraforming Allowed – Grow Large Green Areas Of Different Plants, Trees etc. Could rain be initiated by letting plants communicate with the air network through light or Li-Fi? This was my initial guess. I mean. Any network optimized for life. Would not like to rain if the output was polluted. Nor would it like to rain on pavement. Therefor there should exist plants optimized for cleaning polluted water. The idea is then to create the machine learning model that predicts rain from a detailed map of plants, flowers, trees and pavement. Then grow different plants and remove pavement and see if the air network picks up on the change. More rain in the right places. All this would be in vain if any pollution from cars ?still exist. So electric cars are a must and you get a quick fix by removing pavement. Basically I googled. Refugee shoes. The images of them looked terrible. So..
I’m thinking a ?small shoe industry. I think its better that people. I mean when they are so many. Create jobs and livelihoods around the products they need for themselves and for others to earn a living. Heat is not just a single mean temperature. Heat is a network function. There is airflow with heat so there are heat directions. Its more complicated or network like than a single number. So I just discovered a new way to find calm of brain and body. 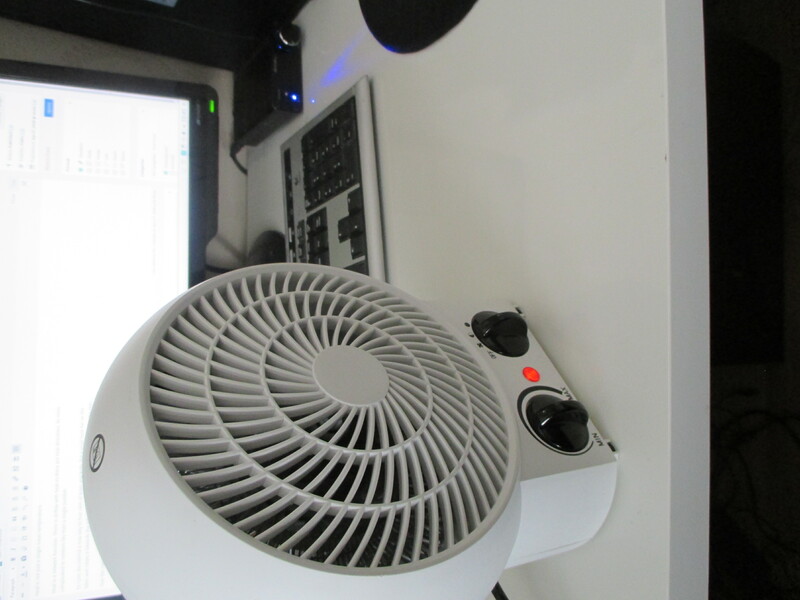 Put a small heat fan on the table and rotate it towards the side of the chest and direct the airflow a little under the chin. 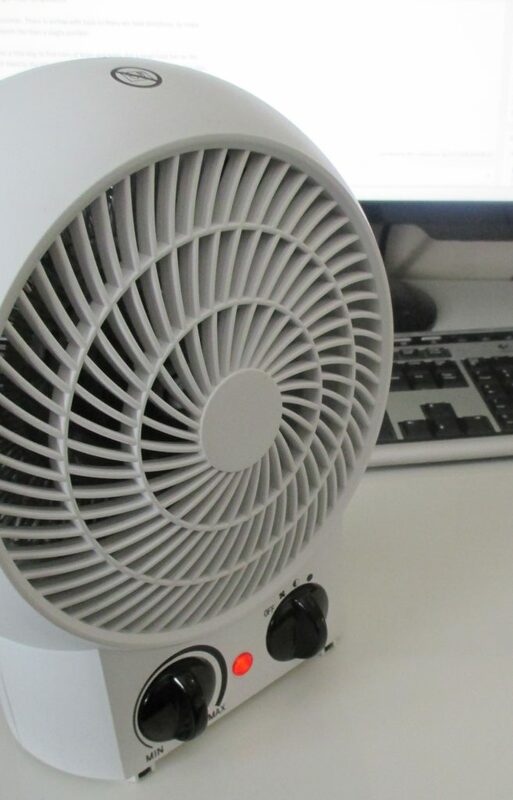 Use a fleece sweater and a low power setting on the fan. For protection. I think it works because of ancient DNA telling some animal it has another animal close. Spinning cat, dinosaur or some other animal. Just wanted to say that I can a feel a much better difference after eating a little ecological meat. Its not that feeling you get from stressed meat at all. Now, fish has to get ecological also. Nenita my woman cooked a wonderful meal. Much love. Better Earth Restoration? – What Are The Rain Networks? Assume nothing is for random. On a planet with a functional sun and a planet system. Everything is optimized for life. Since water is essential. I would like to answer this question. What is the machine learned causal prediction model that takes *every data available and predicts where its going to rain. I suspect that rain has much more detailed decision model. Like where is the air pollution, pavement, cities, ocean, the lakes, green areas, forests etc. Basically everything that shines back light. So light is then a light fi of earth information. Then from this model. We can predict what the affect will be of all our earth restoration actions. I think making the earth less polutant is one of those ideas that are very important. For everything that has to do with life. Since the rain network does not want to harm with bad water. Be it greening the deserts. The distribution of life and insects could be key. Math Idea – Normal distribution object. Scaled 3D Object As A Random Generator Object. The Elongated Ellipsoid? Why start with a point as the generator for random numbers when you can have a network or here at least a 3D object. 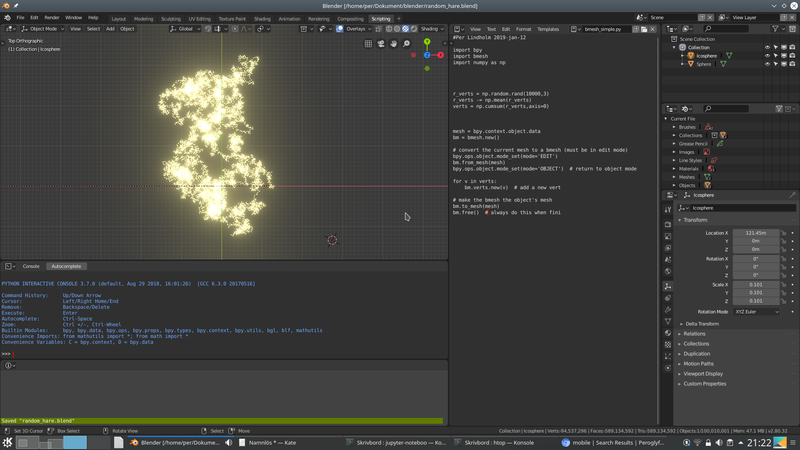 So I came up with the idea after running a simple python script plotting random small point objects. I choose the np.random.randn(). Just the normal random generator function. From this I got the normal looking scatter plot of points. 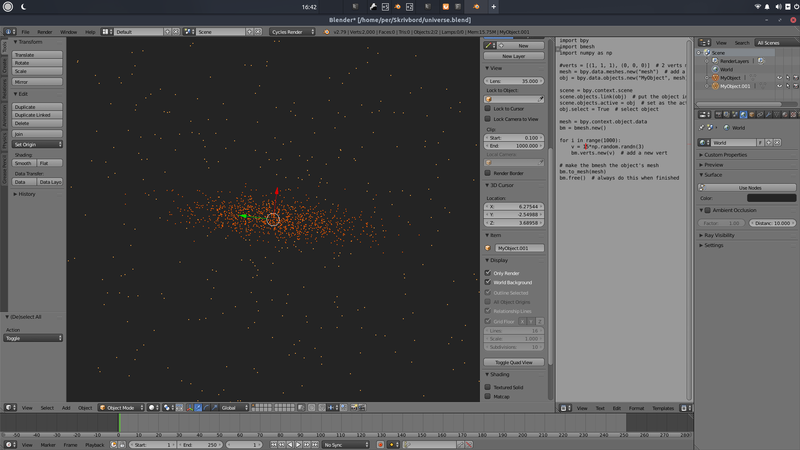 Then I choose the particle generator in Blender and a simple sphere as the generator object. The noise or the particle scatter plot did not look the same. So since I did not get it right by changing the settings. I just scaled the x axis of the object and then the noise looked similar. From this I then suggest that generating random data using scaled objects are important as the normal distribution. The normal distribution object I could make looked like a thick needle. An elongated ellipsoid. 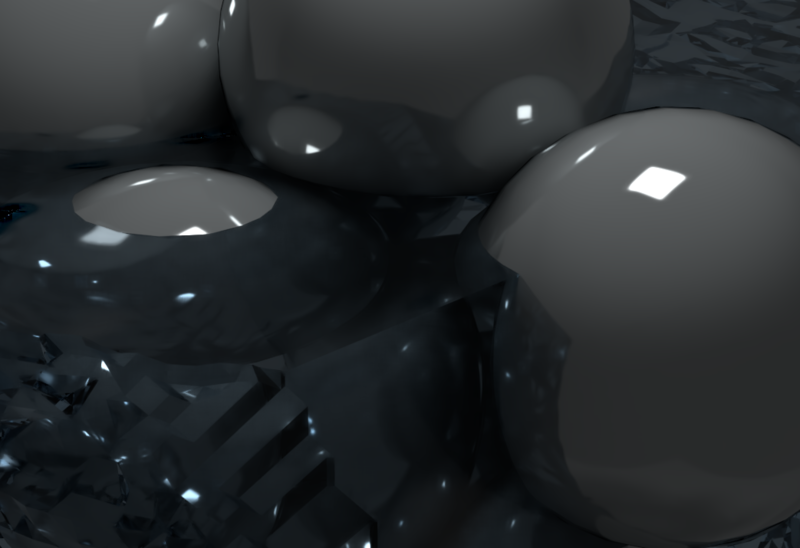 I started with a cube and made into a sphere using the multi-resolution modifier. Peace Idea – Restaurants For Peace? How should we deal with anger, hate and not let us get into more violence that leads to war. For victims and for reconciliation. For Palestinians and Israelis perhaps. It could be so simple as giving out restaurant gift cards. Like a months worth of free dinners and lunches at different restaurants. The idea is that if you make the family or close friends happy together with you. That is all the support you need. So the idea is for sponsored restaurants for peace. Battery Idea – Does There Exist Plastic Networks Together With Metal That Could Be Used In Batteries? Philosophically. Since metal appear in networks. Most visible in the solid metal lattice. It seems that even metal in stones could be networks. From this I speculate that there are networks or grid like structures with plastic and metal that could be used to make batteries cheaper or otherwise enhance them. How could this be related to a battery you might ask. I speculate that there is a relationship between the information network and the energy network. Anti Hate Or Anti Bullying Food – Banana? When you eat. Try to feel what the brain tells you. Remember those food situations when you feel good. Take some notes. From what I know. Fruits have sugar. So its related to the brain. There is a higher chance of survival in the wild if a purpose exist for each fruit. This because they would be taken care of by animals, birds. So assume our eatable fruits have brain purposes. So inspired by 12 fruits collection tradition at new year. To get to that fruit you need at the moment. I wonder if its as simple as buying just one of each fruit. Taste a small sample feel the brain and select. Then just eat one or two of that selected fruits. Take some notes of the problem and which fruit that made sense to your brain network. This apply to food dishes as well. Feel and remember. Homeless Innovation Idea – Civil Servant Carpenters In Charge Of Building Tiny Homes For Homeless? Why not hire carpenters as government paid civil servants. To make life easier for the homeless they could build tiny houses. I’m sure Government Paid Carpenters could help solve other challenges also. For poorer or wealthier nations an idea like this could make a substantial difference. I think this is a win win for society. Inspired by spline fitting where you have a tiny model with limited number of weights. I think you can have a tiny and a big machine learning model working together. The Tiny model get a new parameter value for each step in the solution and the Big model provides them. A bit like spline fitting. This way you have one set of weights for the big model and many different weights for the tiny model. So the solution will have like 1000+ different tiny models. Just the weights differ. So its a fitting, not a optimization of a limited number of weights. With Peace You Get Exponential Scaling Against Evil. Good Ideas Never Die. Then Why Not Win The Peace Empowering Homeless With Housing. Are There Other Easy Wins? Experimenting in the Free Blender 3D Software. I wondered. Since you can animate the gravity x: , y: , z: -9.81 value. Could this hold in the real world also. I mean. Just assign a normal distribution with mean value -9.81 and some short span on the variance. Optimized for life so. Birds dont drop down. You need to work for all the constants. So there should exist components such that they as input stabilize the z component of gravity. Also Gravity could be a faster stronger ?circular network. Thereby other networks will ?follow. I know the headline could mean many things. So go on innovate. My idea of food presents were initially chocolate boxes but with healthy food in small candy size pieces. Another idea would be prepaid gift cards for restaurants, food courts and more. Maybe this is something for mall. A ?culinary experience. Create an experience for food. A gift card can get you to try food from other cultures. If noise could be input to machine learning models. Some generation models. Then since space with its stars look like noise. What is the network that this star noise is input to? Black Hole network? Also. Since you have formations looking like galaxies. Could this inspire function and noise at the same time. So everything makes sense. Has meaning but still function as noise? 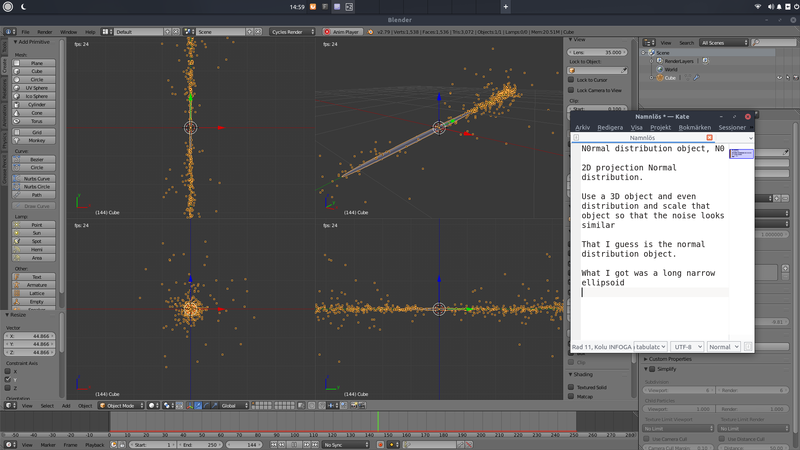 It would be simple to test 3D noise and some scale functions in xyz Blender viewport. Then feed the projection by light emission to a python machine learning network. One way to generate new noise is to scale the noise image, fly into the 3D model etc. This way you don’t need to generate a new set of points. This could be one reason the universe ?scales, change something dependent on input from this scale to the network. Everything that is physics is also just networks. Working together. 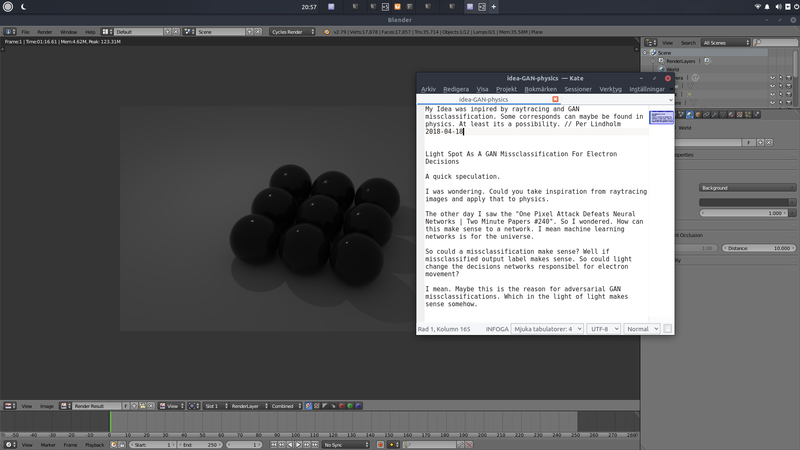 Then it could be a an idea to model some parts of the algorithm in a 3D modeler like Blender. For instance I suspect you need simple simulated physical wheel suspension systems for periodic objects. ?Everything can be written in a periodic way. Then I suspect that using machine learning models. With lots of error correction. Could possible brake the network. I guess the process could then be improved with proven real world examples of say suspension. Breaking the network is similar to the error goes to inf. I got this idea from mechanical inventions trying to solve simple network type problems like showing time. Maybe there exist some advantage in modeling some parts in a 3D simulator than trying to come up with a limited math function. The idea is to see if there exist an idea to shape noise. Not only by adding points with random value but also to remove points according some other distribution. The remove part is not as problematic as I think. What if you have a filled 2D plane and remove points according to the random function. First maybe you need to add some points. Then do some removal. So instead of np.random.rand(100) or something like that I’m thinking a 2D image. With some adapted width and height as parameters to capture a noise image. Hmm. Could be interesting to see if ?negative noise could be used in a generator(neg. 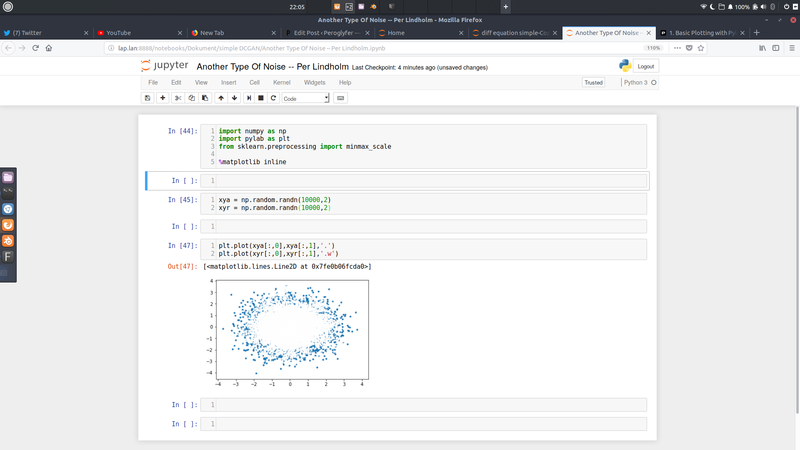 Noise) GAN network. Machine Learning Idea – Model To Generate Programming Code From Story Text As A Way To Check Understanding? A quick machine learning idea. Say we want machine learning algorithms that understand something about what its doing. Then I wonder if generating code from text stories could help. This way we have something we can measure. And check for all the types of programming bugs there is. Machine Learning Idea – 3D Spherical Boundary Map As Decision Basis? Why settle with 2D maps of boundaries. Philosophically it should be possible to have 3D spherical maps. Like the earth globe with clouds as boundaries. Maybe not all objects are suitable as basis for boundaries. But I think 2D rectangles and spheres should the first ones to try. What possibilities does this have? Just a story on how you can come up with ideas. A bit like philosophy. Say you have a universe where you only have an add() function. Then what infinity objects could this universe have? Assuming the universe have time. Then conquer up an idea object that would give you some similarity to the infinity idea. So to get something non countable with the add() function. I imagine you use the add function like a counter in loop. Then you can just speed up the add process. Pretty soon the number result will become unreadable or unrecognizable. Like a stop watch this will go towards something unrecognizable. So you have some speed limit of recognition. Then beyond the limit. I think you will have the situation that the add function will add to the number it can not recognize. So this sounds like a random number which then is just an unrecognizable. Therefor it is independent to the time sample function. I was wondering. Could you take inspiration from ray tracing images and apply that to physics. The other day I saw the One Pixel Attack Defeats Neural Networks | Two Minute Papers #240. So I wondered. How can this make sense to a network. I mean machine learning networks are also for the universe benefit. So could a misclassification make sense? Perhaps if light or something else misclassify the output label. So could light change the decisions networks responsible for electron movement? I mean. Maybe this is the reason for adversarial GAN miss classifications. Which in the light of light makes sense somehow. Since machine learning models can be non linear. Would not the predicted probability of label output of the model change in a non linear fashion. With respect to the number of training samples. I will try to plot such a curve. A quick idea for letting your brain heal your body. Whenever you are cold. Feeling numb in the arm. I think this. Your brain needs to know you got its back. Don’t waste the brain resources. So use a simple heat fan and direct a comfortable warmth on your back. This will help your brain heal. Keeping the blood warm takes to much effort otherwise. Since gravity is responsible for the position of earth. It would be irresponsible for the universe to leave it to a simple equation. So it must be a stable Network Solution. Maybe gravity is not a force. Gravity could be energy instead. Why? Since energy carries more functionality than a force. Much like a network function can assume *any function. Then to get a force the mass network just calculates using the energy a new very little change in position. According to the random distance idea. The random distance idea is used here to create a problem. Where does the ?atom exist relative to a boundary. A|A. So gravity energy is energy to a positioning network. The energy is used to settle this decision problem. Choose between two positions requires lot of in data so here is where the precision comes in. It must be very accurate.